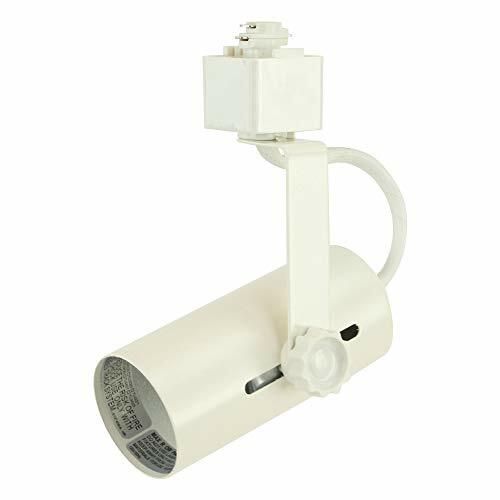 Compatible Lamp type: PAR20, R20, PAR30, BR30, BR40, PAR38 or any crew-in base lamp under 120W. Track System: Compatible with H system 3-wire-1 circuit track system. COMPATIBILITY : H system, 3-wire-1 circuit track system. 2-clip terminals on one side,1-clip terminal on the other side. 15/16-inch if measure from tip to tip. LAMP TYPE : Universal PAR. Accepts PAR20, R20, PAR30, BR30, BR40, PAR38 halogen or LED bulbs. BULB NOT INCLUDED. 120W max. SOCKET : E26 (aka Medium base or Screw-in base). FEATURE : 350° horizontal rotation or 90° vertical project.